I remember this book being popular when I was in high school. It was on a reading list we had to choose from to read and give an oral book report. It was a popular choice because it was less than 200 pages. What did I choose? Gone with the Wind, 750 pages. Needless to say, I was the only one in my class to give a report on that book. I also wound up writing a book report because my teacher didn't believe I read (because it was so long) it. I ended up receiving twice the credit and an apology from the teacher. But I digress . 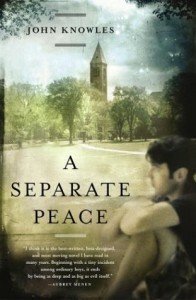 . .
A Separate Peace is an important book. I think I would have appreciated it more had I read it when I was young. Gene and Finney are roommates/classmates at a New England boarding school. Does anything good ever happen at boarding schools? Never, and not in this story either. While they are friends, one is better than the other athletically, the other is better academically, envy ensues and results in tragedy. 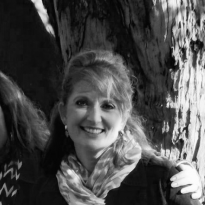 While efforts are made to heal the friendship the inner demons do not leave. A classic coming of age story dealing with rivalry, competitiveness and friendship that seems targeted especially to young adults. I am glad to have finally read it.